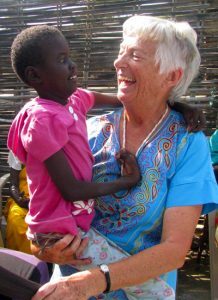 The School Sisters of Notre Dame look to the generosity of many to partner with us. When you make a financial contribution, participate in our social justice work or volunteer your time and talent, you join the sisters who teach in inner city schools, offer help and hope to those recently released from prison, coordinate and staff a food pantry for those in need, or minister to the sick and lonely in area hospitals. For additional information about joining the School Sisters of Notre Dame in their ministries as an associate, volunteer, employee or by making a contribution or taking action, please visit the links at the top of this page.